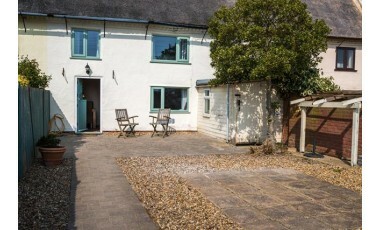 A tempting selection of over 20 genuinely very dog welcoming, self catering holiday homes in rural and coastal east Norfolk. Sleep from 2 - 10. Our dog limits are very generous and flexible, based on size and breed (but not breedist!) WE NEVER CHARGE FOR DOGS. 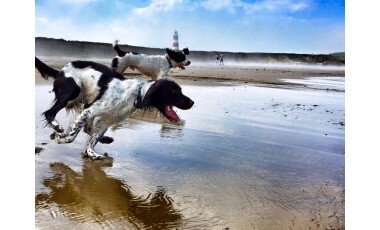 There are dog friendly sandy beaches all the way round this coast and easy countryside walks inland. The Norfolk Broads is just inland and many boat hire companies allow dogs so just another wonderful thing you can do in this peaceful part of our dog friendly county of Norfolk! Personal attention to your booking - Sue Allen is always happy to help you. A proper understanding of what you need for a great dog welcoming holiday! We regularly go away with our 4 dogs and had found it so difficult to find somewhere that didn't charge an arm and a leg for our dogs or limit us to *more than 2 well behaved dogs* and expect us to put up with lower standards! 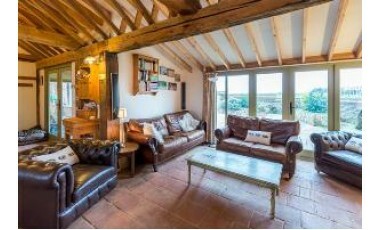 So we set up East Ruston Cottages when we bought and converted a barn - The Old Piggery - and have been joined by dog lovers with properties in the area. Dogs love .... The miles of year round dog friendly beaches, all sandy (so good for digging!) and the miles of quiet, livestock free, easy countryside walks. Relaxed owners - who know their dogs can't escape from gardens/outside areas! Sofas they can crash out on, like they do at home (we provide throws). The home made dog biscuits for when they arrive. Treat your dog to a holiday they will love (and you will too!). Take an opportunity to relax and make memories, walk miles, eat at a great choice of dog friendly pubs and cafes. 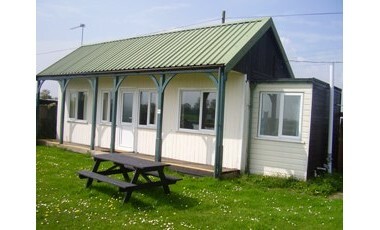 Come and see how dog friendly this part of Norfolk is - you won't be disappointed!